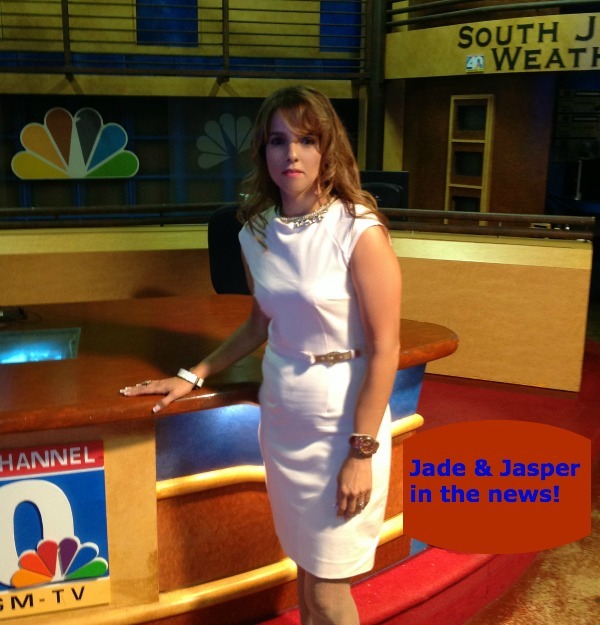 Jade & Jasper is a sponsor of our site and I have been compensated but all opinions are my own! You know me, I have a huge passion for accessories! Last week, I had a real treat, I was invited for an exclusive preview of Jade & Jasper Fall Jewelry Collection which is a fusion of contemporary classic! Think Great Gatsby with punk power! I know, totally fashion forward! I was very impressed with quality of the pieces, the beauty of the details and intricate hand crafted work! This is one of my favorite pieces which I wore to my first TV appearance at Latino Motion on NBC! If it depended on me, I would have taken the whole collection, everything looked so pretty. 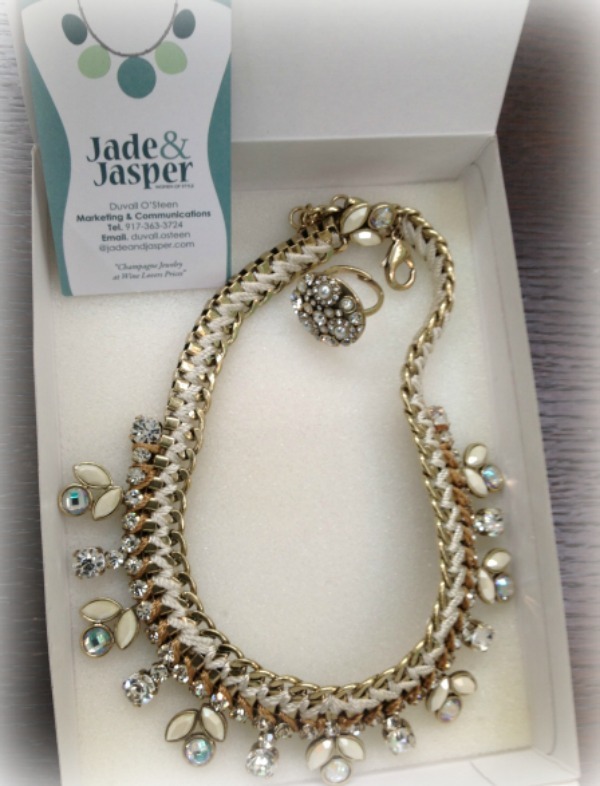 So I asked Duvall Osteen of Jade and Jasper, to share some details and show some pieces to us and how carefully and well thought out those pieces were! Details such as clasps, stretch rings and bracelets, light weight earrings – no matter how large they were! I am so in love with everything! I also played with some gorgeous pieces and I wanted to share them with you! Hope you enjoyed the collection and can’t wait to wear more pieces and show them to you! Where or where oh where can I buy some??? http://www.jadeandjasper.com. I love their collection! What a great necklace. I loved that! Oh their jewelry is breathtaking! Beautiful. I love statement jewelry, and those pieces you picked are awesome. I love the pieces. This is my first time hearing about them. As a short person, I always worry about wearing bigger pieces of jewelry though the key is probably to wear one big piece rather than lots. Barb, they have short and large ones. I will be helping them organize a fall event for bloggers, lots of free jewelry, will send you an invite! Very beautiful indeed! Congratulations on your TV appearance. I was so happy for you : ). I love these pieces, and jade is such a beautiful stone. WOW! I love those pieces and I’ve never heard of that collection, I will need to check it out. We will be hosting a Blogger event, lots of free jewelry, I will announce later in August! I love jade. I need to add some to my jewelry box.